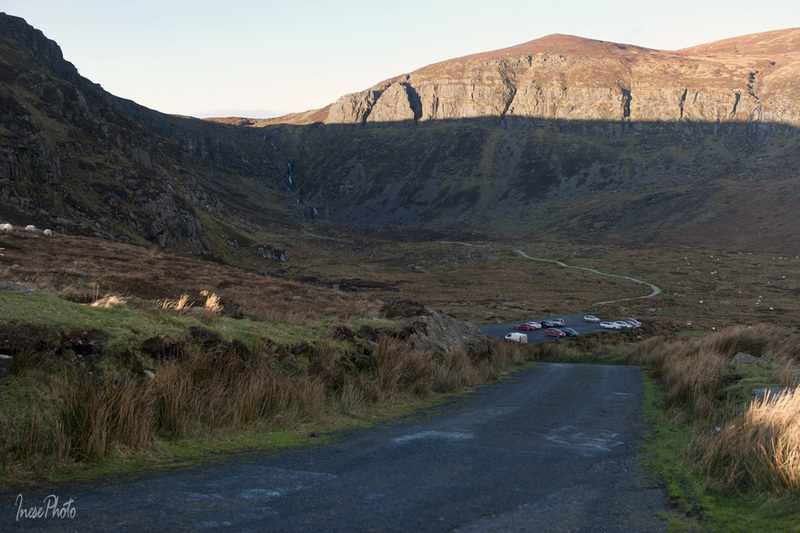 It was a sunny day elsewhere, but Mahon Falls greeted me with a perfect rainbow towering over the mountains. This picture was not retouched – all the colors are natural. 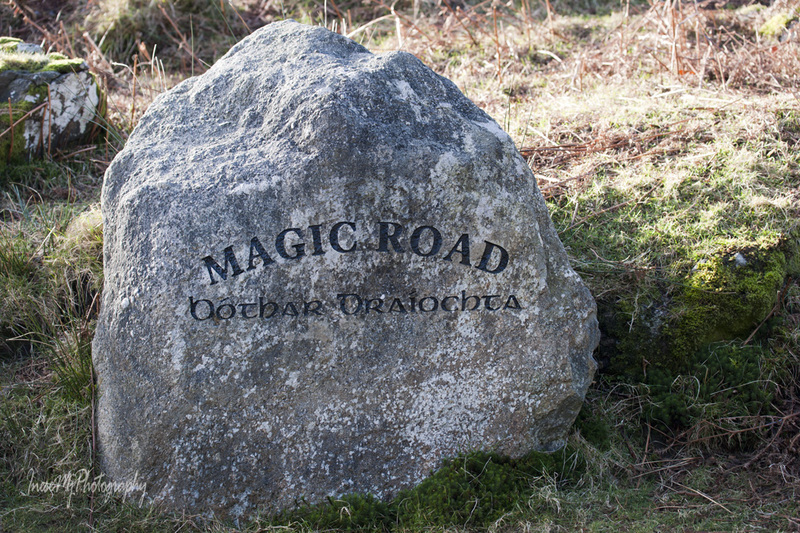 I parked at the bottom of the Magic Road and held my breath. I used a wide lens for this picture, but in fact the rainbow was so close that I could see the colors on the grass just a few meters away. 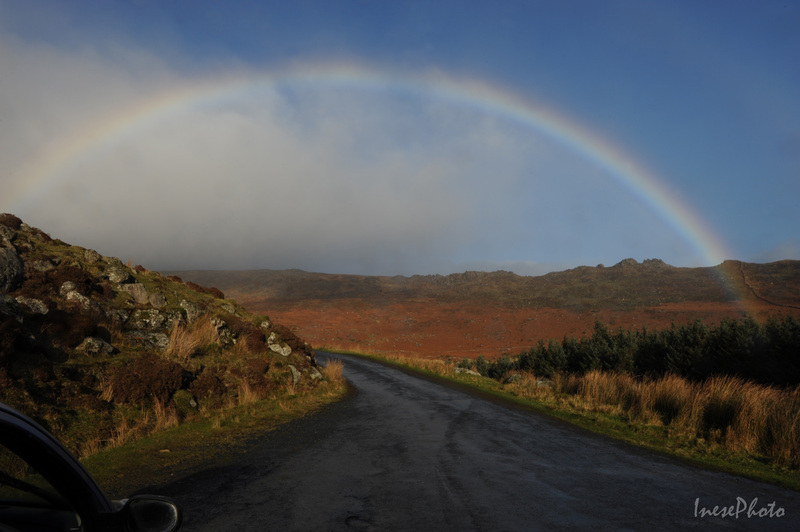 I drove under the rainbow and turned around the corner wondering what the Falls look like today, and sure there was a good reason for the rainbow to appear because the Coum Mahon was hosting a huge cloud. 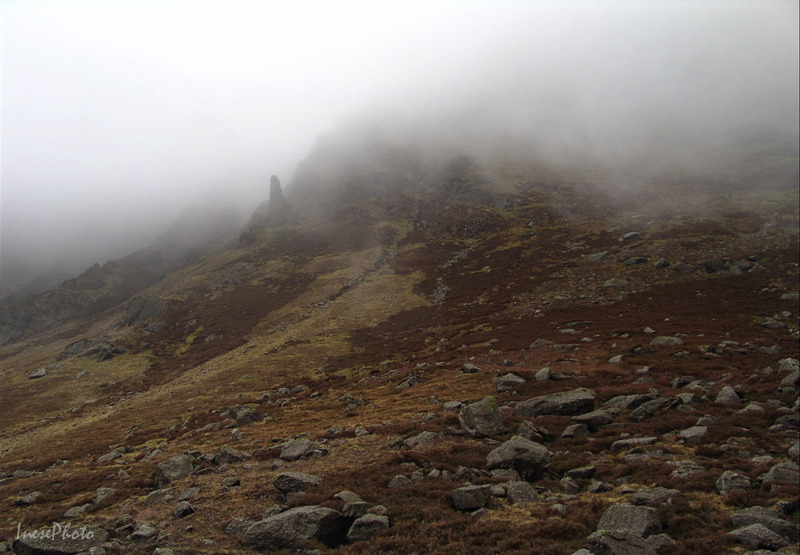 I found a spot, parked my car and fearlessly walked into the cloud. I did it three times and had to return half way because the rain and the wind made it impossible to take any picture of the waterfall. This was the worst moment. The lens got all wet and foggy, and I had to give up. On the other side of the car park the weather was beautiful and even my windscreen was dry. I parked so that I could see the ocean and the rainbow. The cloud was still there but the rest of the world was dry and sunny. There was nothing else to see and I went home to return in two weeks. Some people say it is an optical illusion and there is no elevation. Look by yourself. This car was rolling backwards on neutral from where I stand. The family inside it were so excited that the driver forgot to use his steering wheel and almost drove the car in the ditch. There definitely is an elevation, and I actually started even further down the hill. You can watch a good few videos on Youtube about this road. Fairy magic, if you ask me. 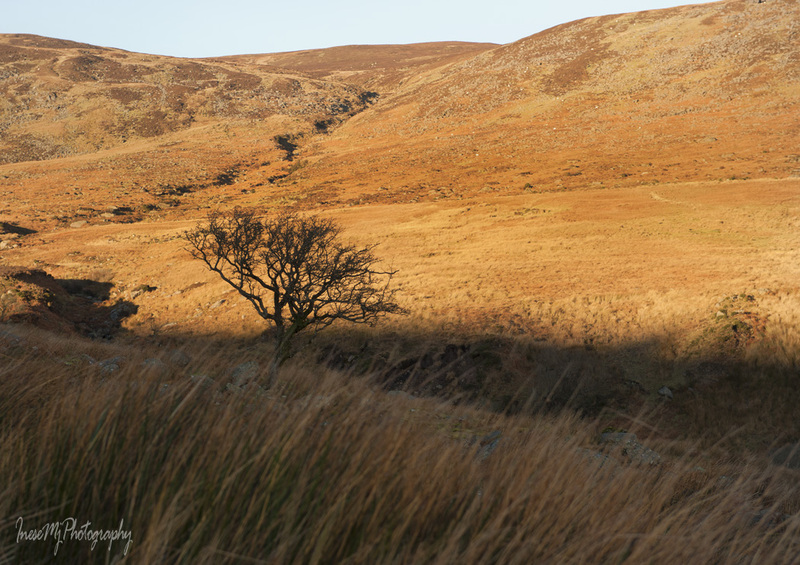 These Hawthorn trees should give you a clue of where the magic comes from. Coum Mahon in all its glory. The path to the waterfall is about one mile long, and there is no climbing necessary. The path is wheelchair accessible almost all the way down to the Falls. 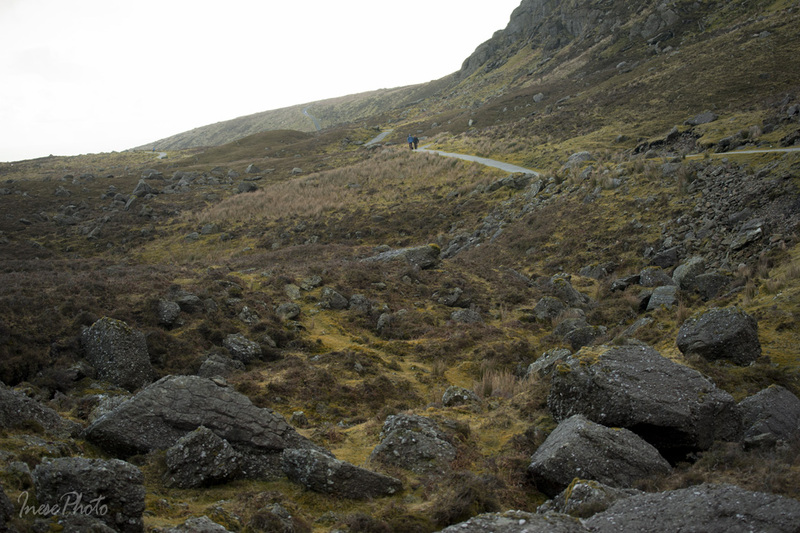 Coum Mahon is V-shaped, unlike the other coums (hollows) in the Comeraghs that are U-shaped. 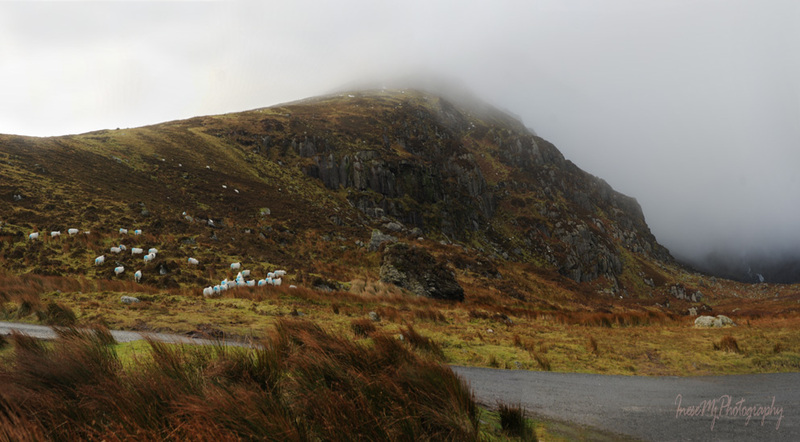 By the way, the word Comeragh, or Cumarach in Irish, means ‘full of hollows’. Many of the hollows nestle lakes. 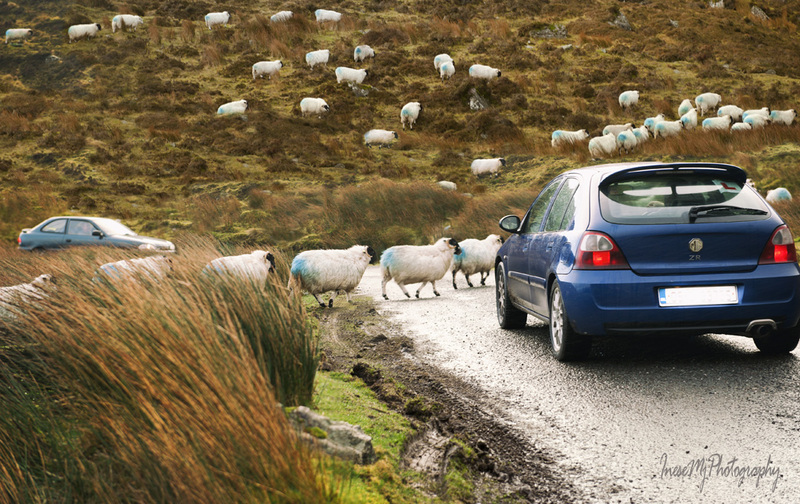 Semi-wild sheep are perched on the edge of the cliff. 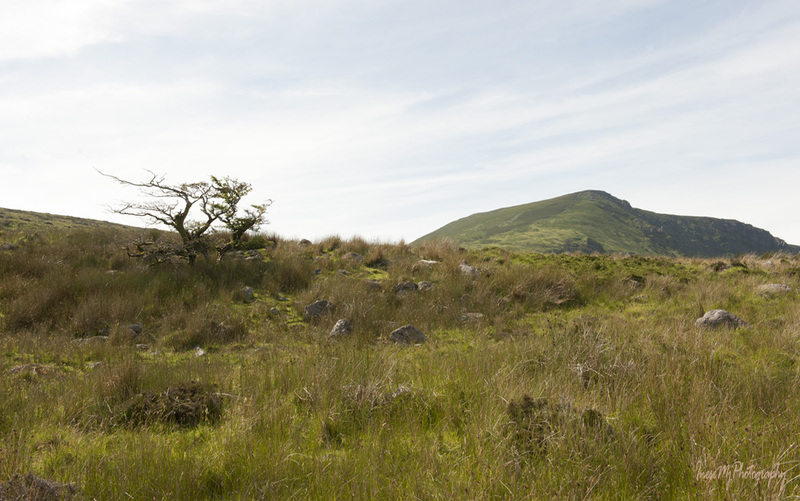 If you are lucky, you might see a herd of feral goats around the Coumshingaun ridge nearby. 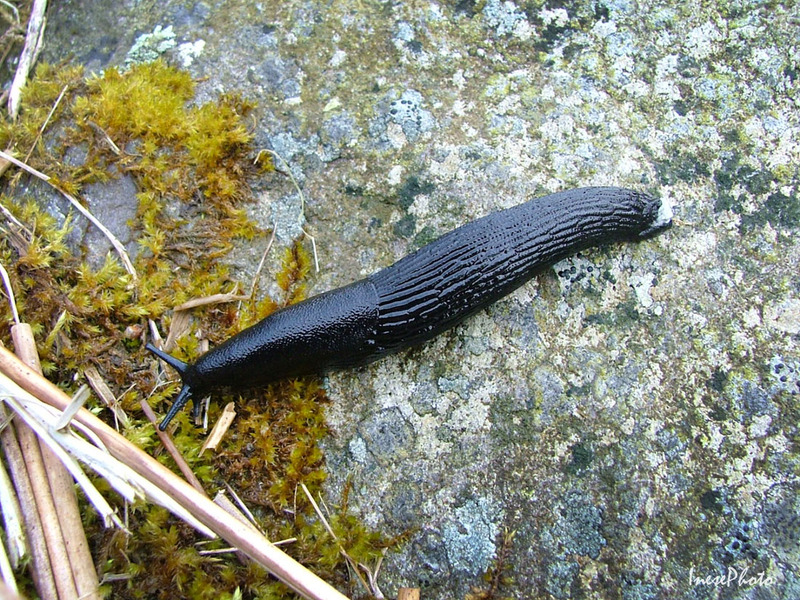 Black slug is a common sighting. The slugs are quite big and alien-looking. With very little rain this winter, the Falls don’t look too impressive, but nevertheless it is the most visited and loved place. It is advertised as a picnic area, with which I totally disagree. 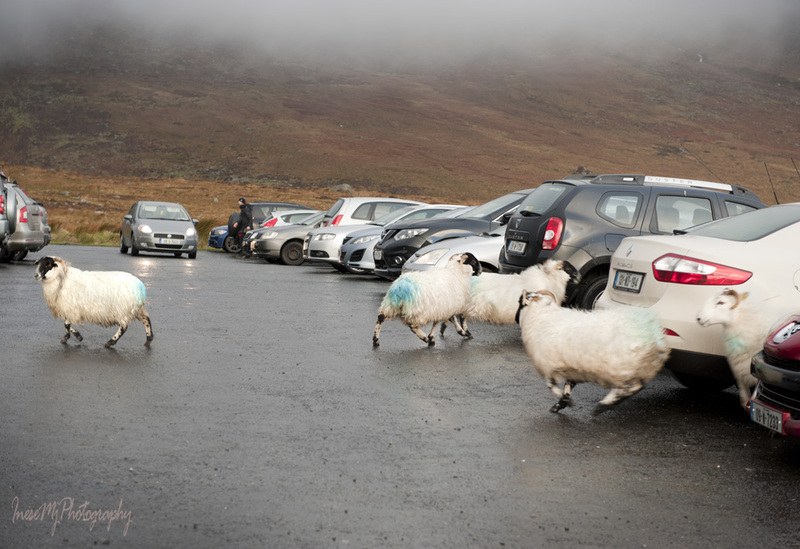 The wind is usually very strong here, and if everyone decided to bring a takeaway with them, the place would be littered in no time. 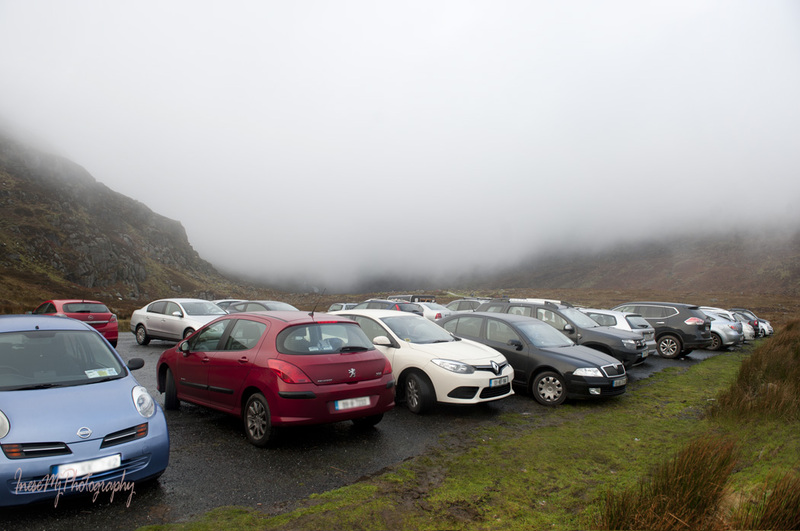 If you come to visit Mahon Falls, please eat in your car with the doors closed. 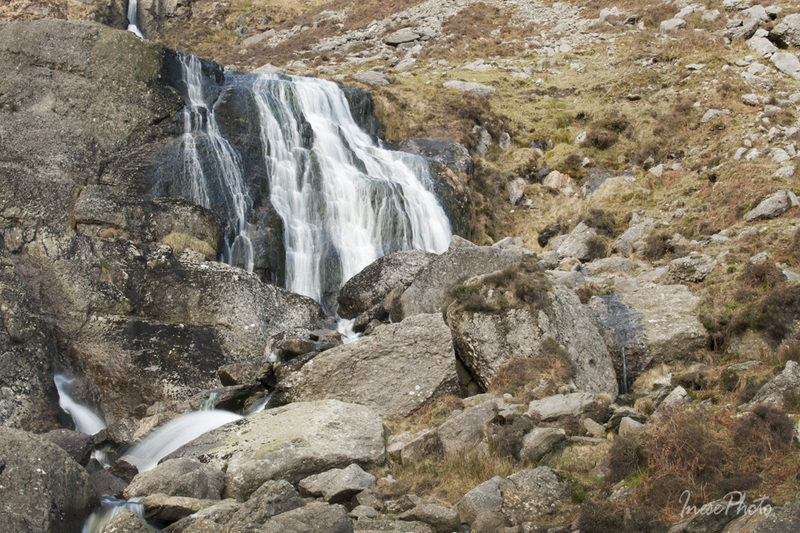 Mahon Falls are a 80 m high series of cascading waterfalls. 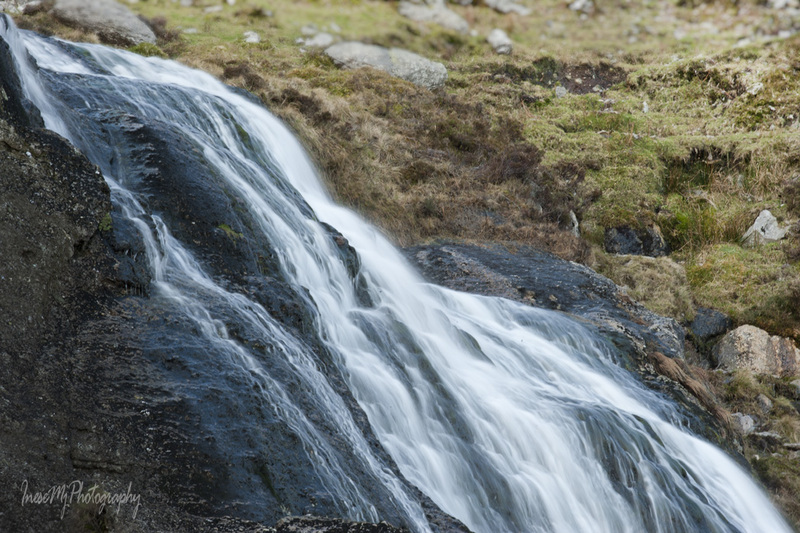 River Mahon begins her jorney from the high plateau of the Comeraghs, falls down the steep back wall and continues to the village of Bunmahon where she drains into the Celtic Sea. It is possible to ascend the slope quite close to the waterfall. 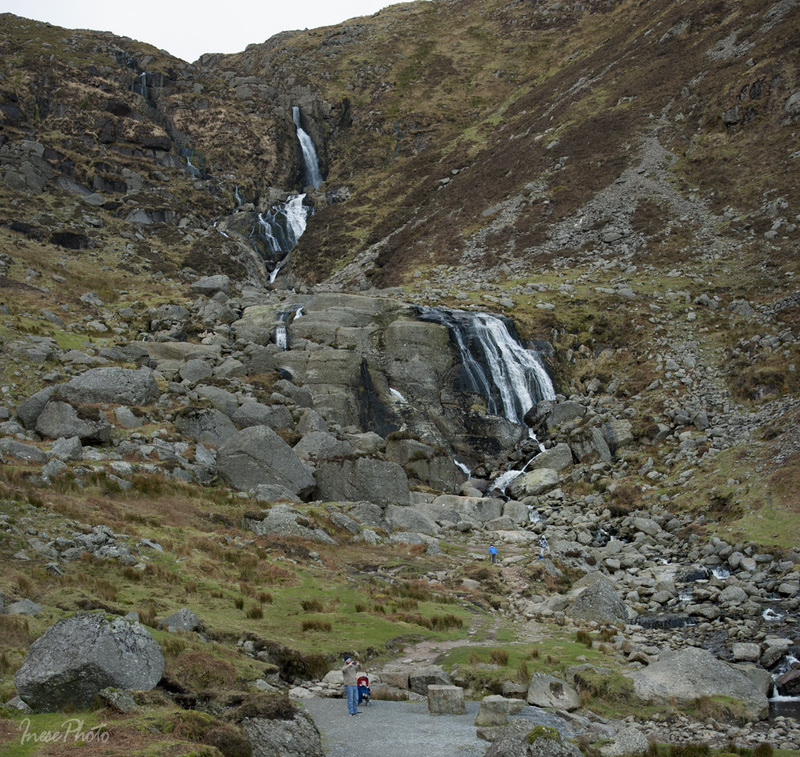 The most popular is the right hand side route, but I have also seen people climbing the left hand side of the Falls. In both cases you have to be very careful. 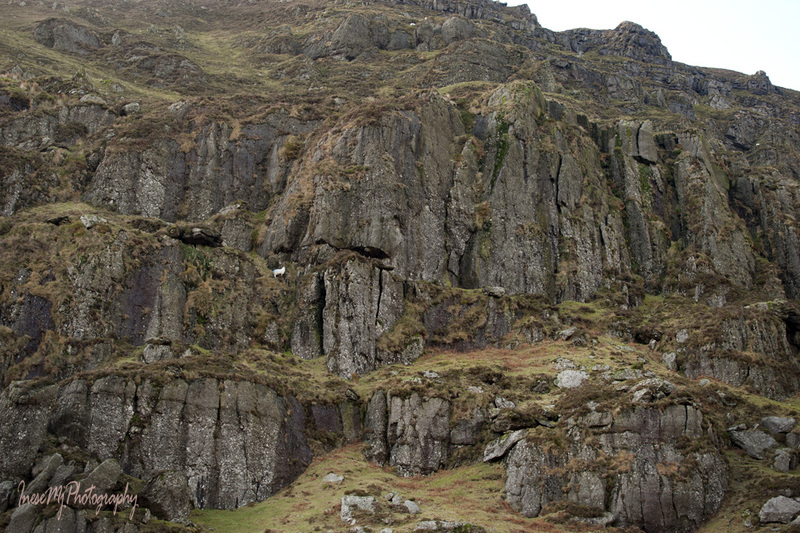 In 2014, two people got trapped on a steep cliff at 45 m with no way down. Luckily, they were able to call rescue services, and were lifted off the cliff by a helicopter crew. 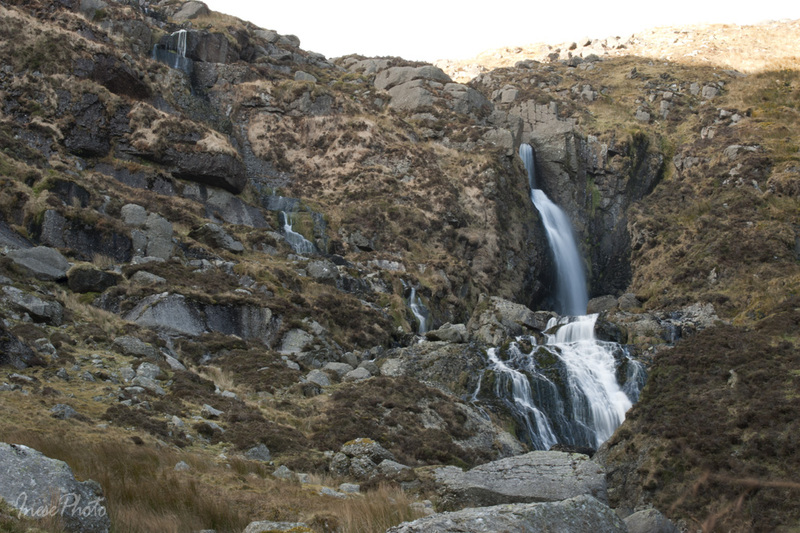 This is a closer view of the lower cascade. I was planning to climb to the upper cascade, but I saw a photographer set up his tripod in the middle of the falls, and didn’t want to bother him. 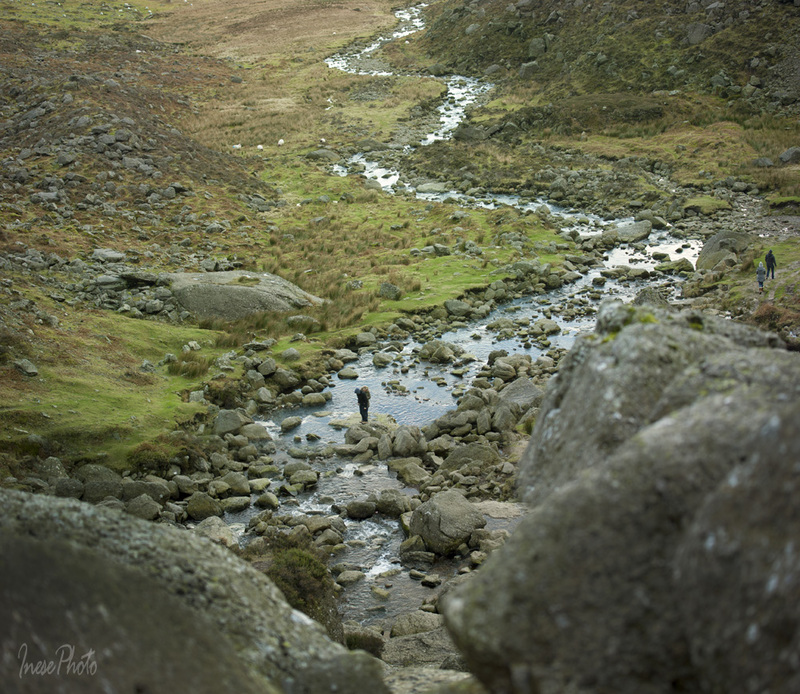 I climbed to the flat rock over which the water flows down, continued half way to the upper cascade, and returned to the valley. Upper cascade. I would love to climb along the gorge and take pictures of entire waterfall, but the surface was quite wet and slippy, and I didn’t even have hiking footwear, just a pair of Skechers boots. 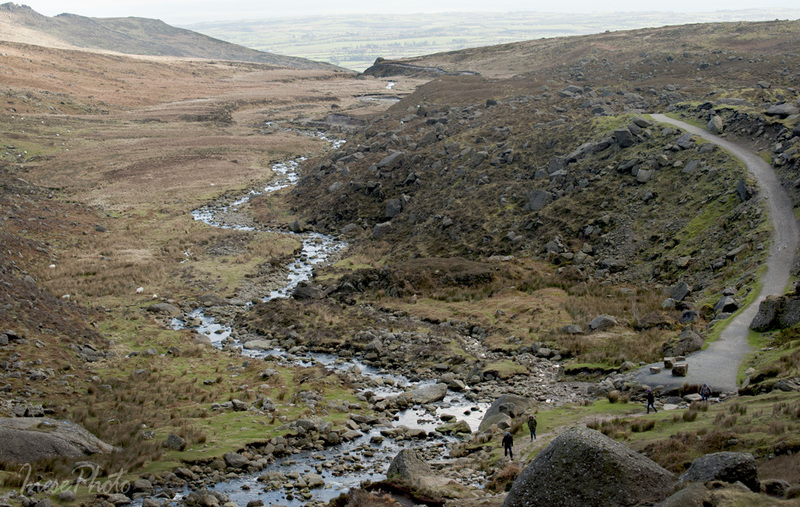 A view from the top of the lower cascade. River Mahon heading south 🙂 The blue stripe at the edge of the picture is the Celtic Sea. A long walk back to the car park. The sky looks washed out because there is not a single cloud in the sky, and the valley is in the deep shadow. 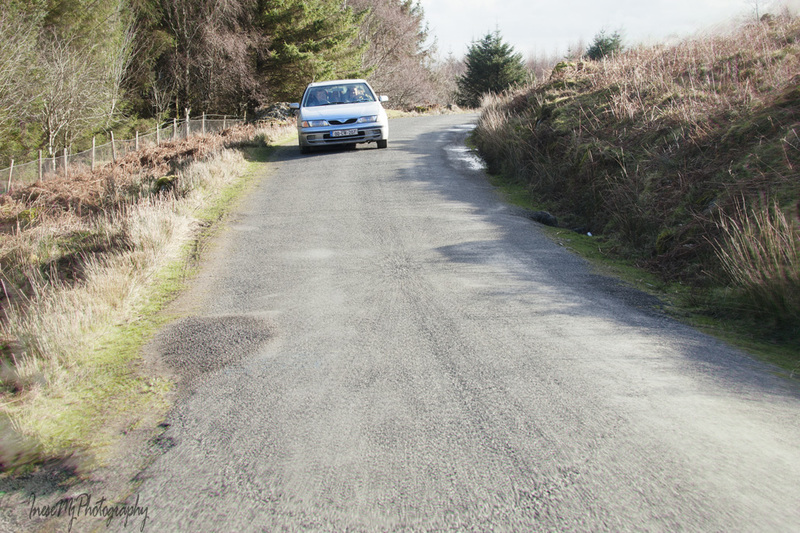 My plan was to continue driving to take more pictures of the other parts of the Comeraghs, but when I reached the tiny upper car park, I was absolutely blinded by the sun and had to reverse and drive back to where I came from. The contrast between the bright sun and deep shadow was striking. In the picture below you see Majestic Knockaunapeebra lit by the bright sun. 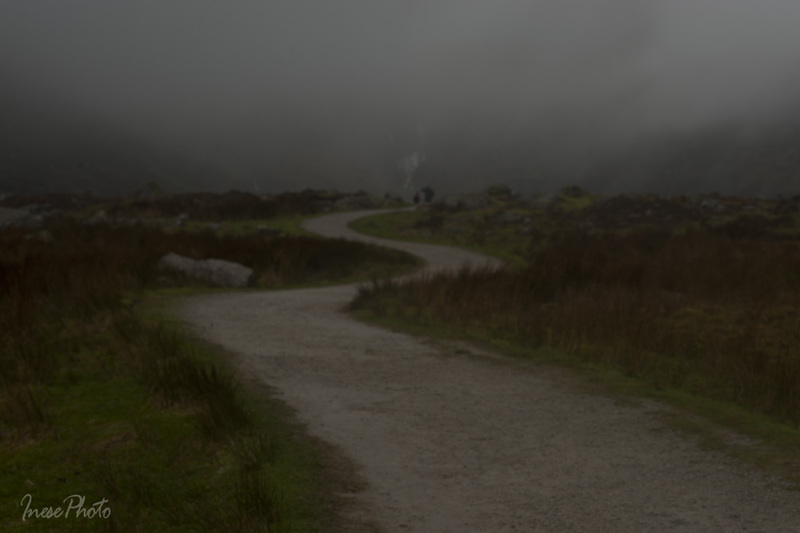 So, that was my latest trip to the Mahon Falls. 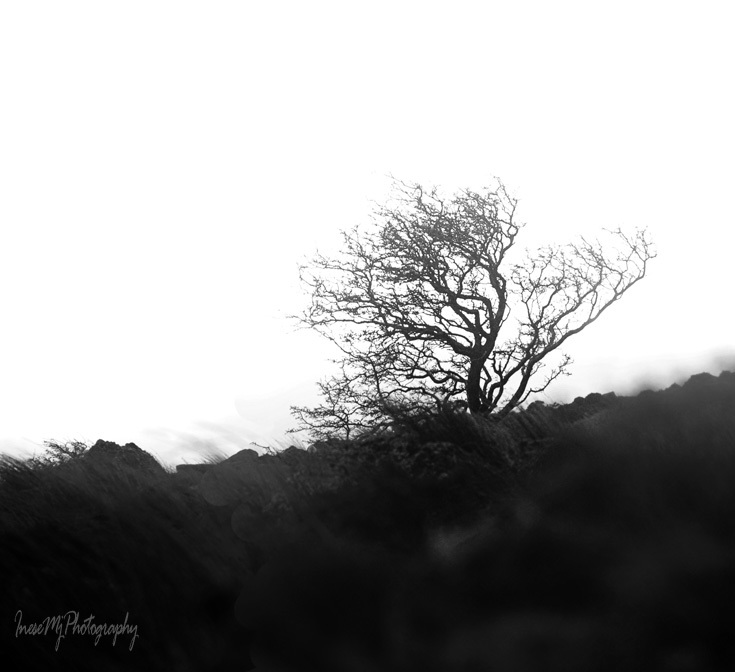 Here are some photographs of the Hawthorn trees. 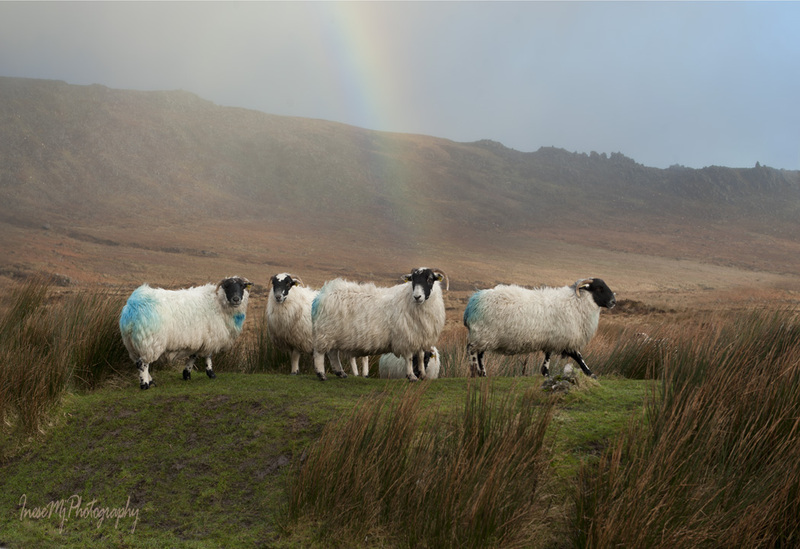 This one was taken on that stormy day when the rainbow was hanging over the mountains for all the duration of my visit. This one was taken on my way home after the second trip. 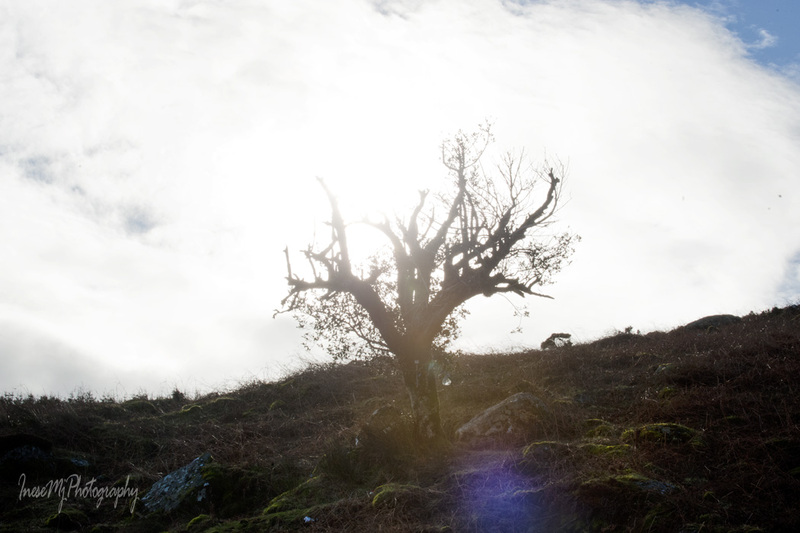 And this is the most famous rag tree that is guarding the Magic Road. 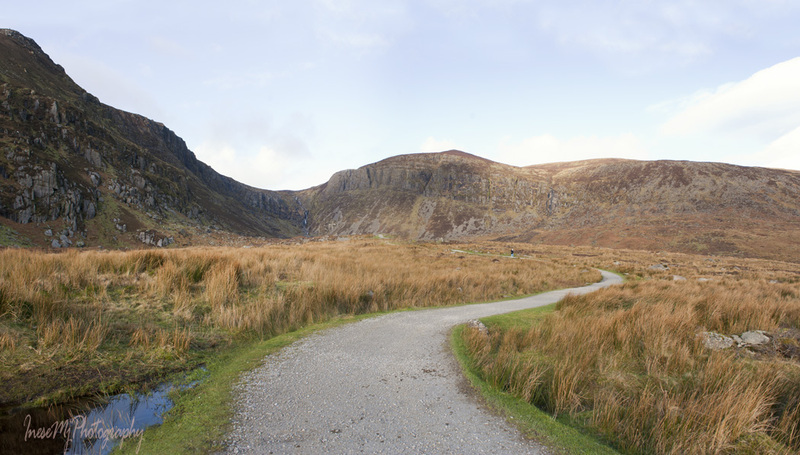 If you are interested in climbing the Comeraghs, read the De La Salle Scout group website.